Before the internet, and even before there were Realtors, real estate was typically sold via the auction method. Because it assured land owners and farmers that every interested buyer would be focused on their property at the same time, providing an equal opportunity for them to view and bid to eventually determine the property’s true market value. Many folks equate real estate auctions to distressed sales, like tax or mortgage foreclosures. But auctions are regularly used to sell luxury homes worth millions of dollars, too. 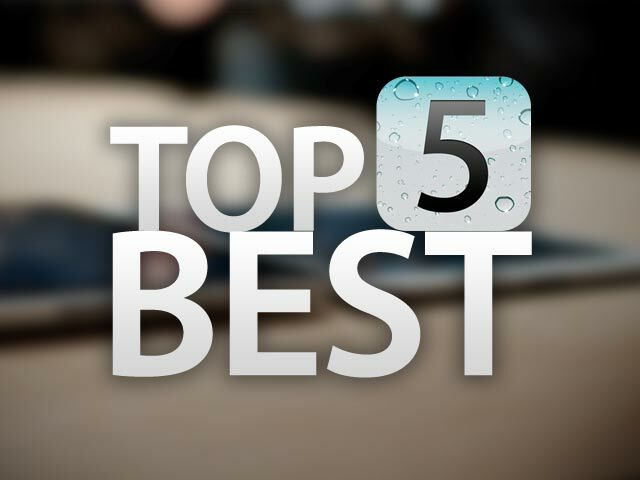 That’s because they not only focus attention on your property from every interested buyer, but they also compress the sale process from a lengthy 6 months or longer down to a reasonable 34 days. Auctions are used to establish record-setting sales in many industries. 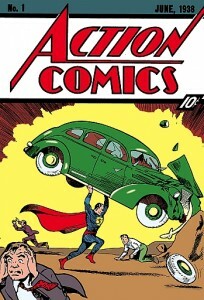 Action Comics #1 didn’t sell for more than $2 million dollars sitting on the shelf in a comic book store. 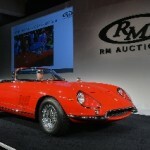 This 1967 Ferrari 275 GTB didn’t sell for $25 million parked on a used car lot. Those sales happen because every qualified buyer knows exactly when those items will be sold and what the terms of the sale are going to be (and those sales always happen in cash). An auction-style sale will get you the best price in the shortest amount of time, especially if you’ve got the best home in the neighborhood or you’re in a market where inventory is tight. Even if you have a home that’s ideal for investors or needs some work, an auction-style process will get you the true market value quickly without leaving money on the table. At SellerNation, we’ve taken the best parts of the auction and combined it with the experience of expert Realtors to give everyday sellers like you a truly game-changing home selling experience. With our auction-style sale, a bid deadline is established before your home is exposed to the market. From that date we work backward to identify the optimum window for showings and the time required for pre-marketing the sale and open house dates. Overall it typically takes 34 days or less days to go from listing agreement to sale contract. One of the best things about an auction-style process is the limited time your home is available for viewings by buyers and their agents; usually 10-14 days. Our marketing and methods focus attention on your home so that every qualified buyer in the marketplace comes through your door right away, so if the idea of keeping your home spotless and ready for showing at a moment’s notice for months on end doesn’t appeal to you, we’ve got you covered. With an auction-style sale, interested buyers and their agents all have time to get in to see your home before the bid deadline. When you’re selling your home, you need to be sure every offer is considered…not just the first one and not just the one your own agent brings. Often the best houses are sold too quickly with a traditional sale. Accepting an offer too early means other potential buyers never had a chance to see your home, let alone make offers. In a traditional sale, any offer you’d receive comes to you on paperwork drafted by the buyer’s agent. And since a buyer’s agent doesn’t work for you, it’s easy to understand why the contract you sign may have clauses, terms or even simple word substitutions that could be detrimental to your best interests. It also means that if you receive more than one offer that each set of paperwork is likely very different, creating even more cause for concern. At SellerNation, we’ve standardized the offer negotiation process so that every offer you’ll consider is presented according to the same terms. Our contract paperwork has safeguards and favorable language designed to protect you and reduce your risk. If a seller wants the highest price and a buyer wants to pay as little as possible, it’s easy to see why it’s a bad idea for your agent to represent the buyer for your home. In real estate it’s called Dual-Agency, and it’s banned in many states because the conflict of interest it creates flies in the face of consumer protection laws. And that’s why at SellerNation, we work exclusively with sellers.